A senior Czech lawmaker lamented the actions of activists who had protested against the concert tour of Russia's Alexandrov Ensemble. MOSCOW (Sputnik) — The protests organized by activists from the Kaputin group against the concert tour of the Alexandrov Ensemble, the official choir of the Russian Armed Forces, in the Czech Republic are undemocratic and inappropriate especially in the light of the December tragedy, during which 64 musicians of the ensemble died in the plane crash, a senior Czech lawmaker told Sputnik. "Just recently, I considered the Czech Republic to be a tolerant and democratic country. However, the actions of the Kaputin group and other similar organizations indicate the opposite. The actions of the Kaputin group, which wants to discredit the Russian military ensemble known throughout the world, especially during the period when it hasn't fully recovered after the December tragedy, are simply dishonest," Alexander Cerny, deputy chairman of the defense committee in Czech lower chamber, said. The lawmaker added that in a democratic and tolerant society, one should treat everyone with respect, even those you may not agree with. The Kaputin group had already tried to prevent the ensemble's tour from coming to the country by sending a letter to Czech Foreign Minister Lubomir Zaoralek with a request to ban the musicians from entering the border. The plan, however, did not succeed. Otakar van Gemund, one of the Kaputin members, told local media that the ensemble was linked to propaganda both in the USSR and in the modern-day Russia, while the ensemble's creator, the Russian army, was carrying out military actions in Ukraine and Syria. Created in 1928, the Academic Ensemble of Song and Dance of the Russian Army named after A.V. 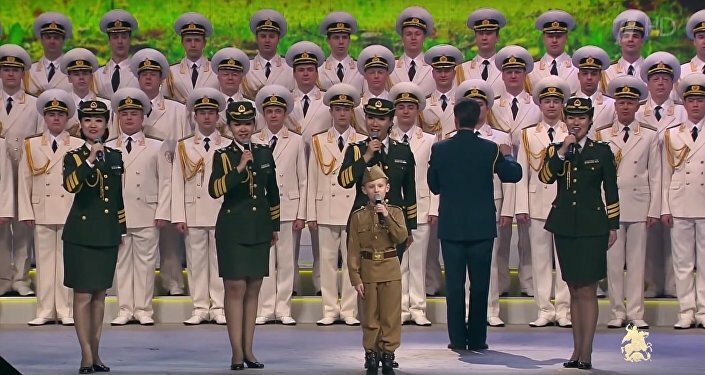 Aleksandrov is Russia’s biggest military and folk music ensemble and is known worldwide as Red Army Choir. It is often perceived as a vivid symbol of Soviet era and Russia's supposed militarism, and therefore the reception of its artists in some countries is not always very warm.